Why outbound sales is important. 4 steps to a successful 100 Call Challenge. Today’s guest, Gene Hammett, knows a thing or two about outbound sales. He used to be my agency’s VP of Sales and scored us meetings with huge brands like Home Depot and Porsche just to name a few. He’s now using his knowledge and experience as a writer, speaker and Strategic Coach for competitive service-based businesses. Gene also hosts Leaders In the Trenches, a podcast for entrepreneurs. Gene recently turned one of his coaching strategies on himself and created a 10-Day, 100 Call Challenge. He’s seeing some fantastic results and shared all the details with us. Outbound sales has been lost and forgotten. So many business focus solely on lead generation and ways to amplify inbound sales. As business owners, we can’t always expect leads to come to us. Sometimes we have to approach them first and ask for their business. Outbound sales doesn’t have to mean cold calls, though. It means defining a criteria for who you want to work with and then seeking them out to showcase your offering. Gene’s self-imposed 100 Call Challenge is a way to re-introduce outbound sales efforts back into your agency. What is the 100 Call Challenge? Most people think it’s 100 cold calls and dread the thought of it. But really, it’s a commitment to having 100 conversations. Gene breaks his goal setting down into annual, quarterly, monthly and then two week increments. For the first two weeks of February 2016 he decided he needed a jolt in his business – something drastic to stir things up. That’s when he implemented the 100 Call Challenge. The results? 1- Decide what you have to offer. You can’t just start making sales calls to set up appointments. Major turn off. Time is valuable. So if you’re going to ask people for their time, you better have something super valuable to offer in return. Think of reasons why prospects might want to spend time with you. What can you offer in exchange for an hour of their time? For new prospects: Develop a great solution to a common problem or something to ease one of their pain points. Then invite them to a cocktail hour, lunch & learn or other live event where you give them this information for FREE. Make a deposit before making a withdrawal. This strategy is HUGE – it establishes authority and creates goodwill. 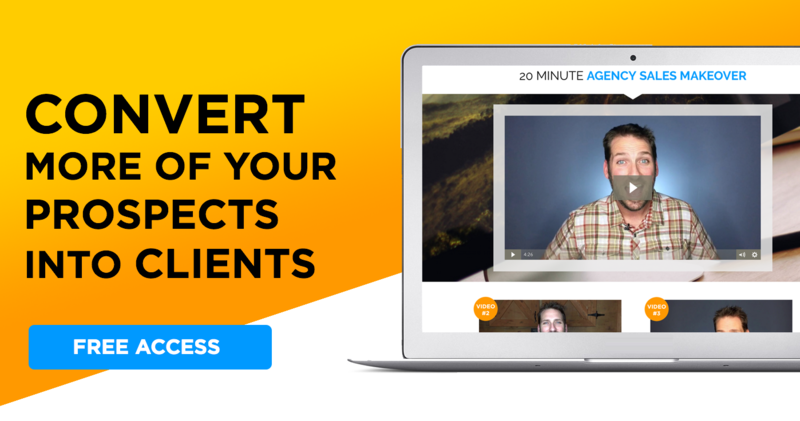 Host a live event and then make calls to get the right people in the room. That’s how you stack the deck in your favor. For old leads: Follow-up is definitely a lost skill. Think about all the “no” or “not right now” responses you’ve gotten in the past year or so. Shoot an email letting them know you’ve been thinking of their X problem (something specific they experiencing the last time you spoke) and that you have some ideas. State that you’ll be calling later that day to talk. Then make your call and provide the information – no strings. Chances are, the problem is still a problem and they’ll be ready to listen to your solution. The goal here is to re-open the dialogue. Not score a sale. Gene has no hesitation in making phone calls and no fear of cold calling. 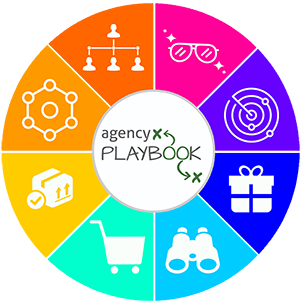 (That’s how he scored my agency with meetings with huge brands!) But what he has come to realize is that he wasn’t making time to make calls. He was making excuses. Gene’s advice is to get over your hang ups. (Pun intended! :) ) Have the courage to create what you want. It’s easy to settle for status quo. You have to find your “everyday courage” which sits inside every one of us but becomes dormant as we get comfortable. Push yourself to go outside that comfort zone. No excuses. higher profile attendance at his live events. What are your desired results? How can you get there? Be specific and make sure it’s something you can measure. Hold yourself accountable to the timeline and results. More clients: Gene decided to initiate contact with old leads. He made follow-up calls – NOT “checking in” calls. He made note of the last conversation he’d had with them and asked a specific question about something that was discussed. Another tactic Gene used was contacting past clients for referrals. He emailed some past clients and mentioned that he’d be calling them later the same day. Following this ‘heads up’ email he’d make the call and ask for referrals. This goes against the grain and that is a good thing! Think about it… What kind of calls do you get? Does anyone ever follow up with you, after you give a ‘no’? Probably not! Doing it is different, unexpected and often welcomed. If it takes 2-3 phone calls to advance a relationship, then each of those conversations counts toward the 100. It’s all about having conversations that elevate your business toward your goals.